The fid and the marlinspike are the knot tyer’s most trusted tool. I suspect that its been that way since humans first started tying knots and discovered that a sharp stick could make it all the easier. The distinction between fid and marlinspike is a little fuzzy. Essentially the fid, typically made of a natural material, is employed when working with fibrous ropes and lines. The marlinspike, typically made of steel, is employed when working with wire cables. Fids from plastic pipe, wood and antler. The fid was the traditional tool of the sailor from the dawn of sailing all the way into the beginning of the last century. It was used to loosen and tighten knots. It was used to separate the strands of rope for splicing. 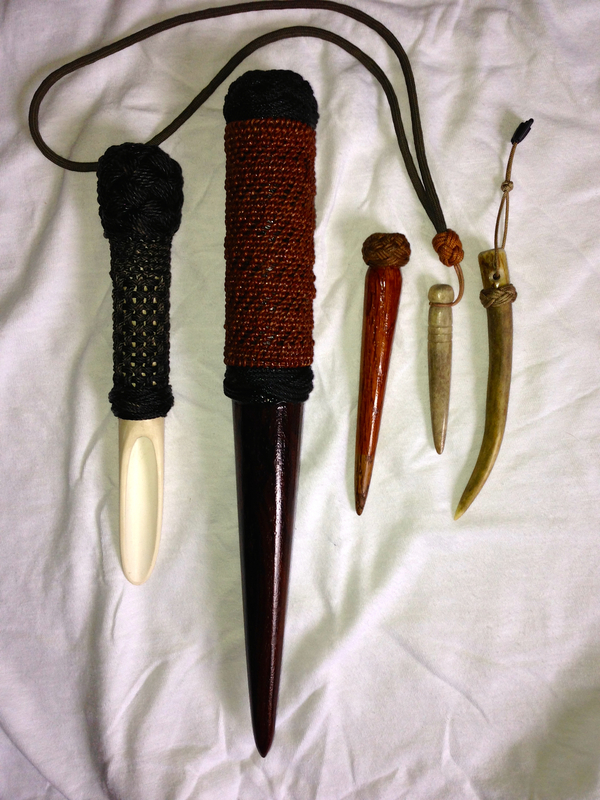 The fid was used as a club and a temporary pull handle. It was used to shape hand sewn grommets in sails and clothing. After the knife, it was the sailors most important tool. The fid was often a handmade affair and was sized according to the size rope that was being worked. Wood, bone and antler being the predominant choices. Its an easy tool to make for yourself and can be made from just about anything you have available. This simple tool had a good long run and is still of use to those who work with traditional ropes and cordage. As ships began to transition to mechanical power and rigging was replaced with wire cables, the fid fell out of favor. Marlinspikes from awls and sail needle. Center one is purpose built marlinspike. The marlinspike is a modern version of a fid. When steel cables began to replace fiber ropes in rigging operations it became quickly apparent that a tool would be needed to take the place of the trusted fid. The steel marlinspike was the answer to that need. It was specifically designed to aid in the spicing of multi strand steel cables. 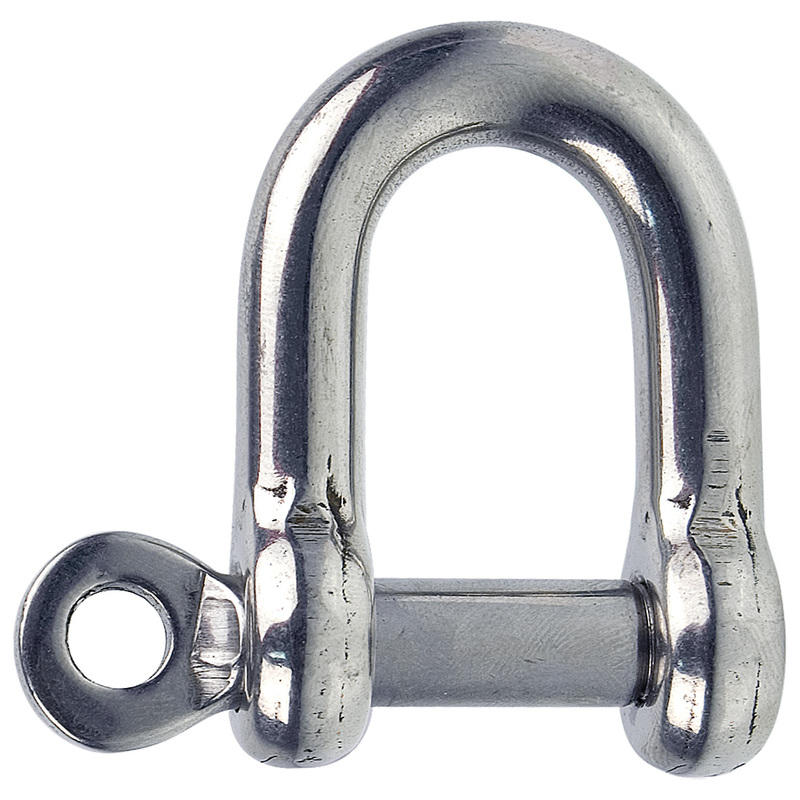 Along with steel cable came the modern metal screw pin shackle. The hole in the pin serves a few purposes, one of which is to allow the insertion of a marlinspike to aid in the loosening and tightening of the pin. Just like its predecessor, the marlinspike is available in several sizes based upon the size of cable that you are working with. The is also a popular folding tool configuration that combines a knife and on one end and a marlinspike on the other. If this pocket tool appeals to you let me give you a word of caution. Do not buy one of these unless it has a locking marlinspike. If the marlinspike doesn’t lock in the open position it is an accident waiting to happen. Since what I’ll be sharing on here will mostly concern working with twine, either a small fid or small marlinspike will serve you well. I’ll soon be showing how I build and decorate a small fid that you can make from any hardwood scrap you have in your shop. 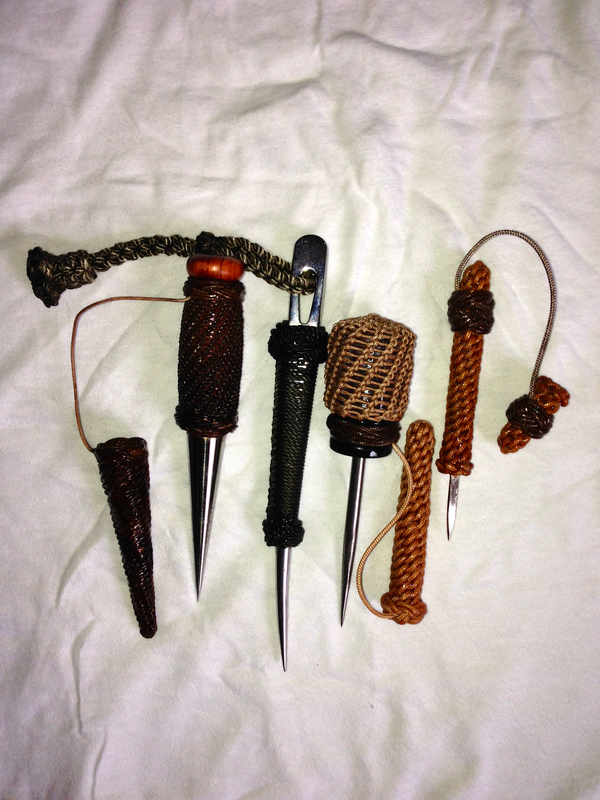 This entry was posted in 5-Tools, Knot Tying and tagged Fid, Knot Tying, marlinspike. Bookmark the permalink. The smallest antler fid looks really cute. I once made some small oes out of bone too, my wife used them for a special kind of embroidery where the idea is to make a lot of grommets. Thanks Jonas. If you do a google search for ‘bone bodkin’ you will find many refined examples that are better representations than my crude attempt. I wear mine around my neck and always have a piece of cordage in my pocket so I can practice my knot tying. I found your site while researching how to make a monkey fist knot. I love the fids. They’re very lovely. Thank you Bea. I enjoy making them as much as using them. Sounds like an interesting job Rick. I agree that fid and marlinspike are interchangeable terms. My point was that the wood and bone fid fell out of favore when steel cable began replacing rope for rigging. Thank you for comment. I enjoy working with small cords just for fun. Can you advise me where to find a fid or marlinspike about 3″ long by which I mean something that will be pocket-sized and nor considered to be a weapon when I am out and about? For small work I typically use a large sail needle that I have applied a handle wrap to along with a tip cap. A large nail would work well too. As to if those are considered weapons or not varies greatly around the world. Be sure to check you local laws! pointy wooden thing that floats FID. pointy metal thing that sinks SPIKE Marline, left hand thread (two) usually tarred strands.So Marlinespike is used with Marline on either ropework or wirework.Never heard of a marlinefid just FID, but there you go!